The new queer dating web series Love Bytes, directed by Tonnette Stanford and funded by Metro Screen Breaks 2013, is now on the interwebs for your viewing pleasure. Love Bytes is a eight-part web series centering around three housemates and their disastrous dating lives. Metro Screen has recently invested in a Qube Digital Cinema encoding and packaging solution to service the independent screen sector with affordable DCP file for exhibition in the professional cinema environment. Here is a handy guide to getting through the process trouble free. This blog post is an excellent cheat sheet on all things YouTube including by passing regional restrictions, jumping to a specific time and repeating all or part of any video. With playlisting becoming a good source of content for many bloggers, these 6 tips are worth bookmarking. The final week of our month long Pop Up Cinema & Bar is happening as part of Art and About Wednesday 16 with free Cake Wines from 5pm – 6.30pm followed by a one hour screening. Curated by Metro Screen Alumni Craig Boreham this free shorts session is for filmmakers and serious film lovers. RSVP to attend. 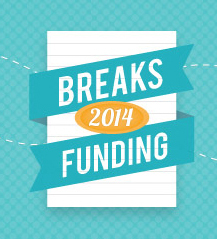 2014 Breaks Funding is for short narrative works. Attend the information session 6:00pm, Tuesday 22 October at Metro Screen. Watch filmmaker Samuel Leighton-Dore talk about making his 2013 Breaks film 'Showboy'. Applications need to be submitted online between 18 November – 2 December 2013. Saturday 19 October presented Eastside Radio proudly presents Global Rhythms, an annual World Music festival showcasing world dance, film, food and live music. 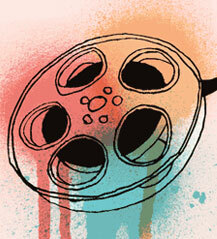 Metro Screen will showcase multicultural films from 1pm – 8pm. Mention you are a newsletter subscriber and get 15% off Studio Hire during October 2013. 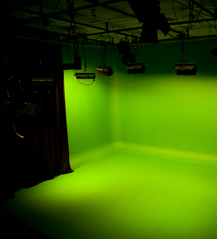 Our air-conditioned sound stage, production studio is equipped with a curved chroma key green cyclorama, black curtains and lighting grid. 3 phase power - 30amp. Fitted with lighting rigs are permanently installed in-house controlled through a dmx console. Conveniently located in the Eastern suburbs you'll have access to a large reception area, kitchen, make-up green room, viewing window and fast Wifi. Media Stockade requires an intern to assist in social media research and marketing for a number of current projects. Screenwise’s two year full time Diploma of Screen Acting course now offers VET FEE-HELP. The Diploma covers the full spectrum of skills training required to produce a high calibre, professional screen actor. 2014 Applications close 15 Nov. 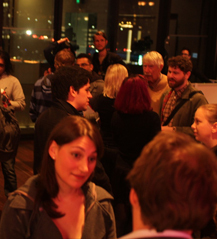 Celebrating its 23rd year, Flickerfest, Australia’s only Academy® Award accredited and BAFTA recognised Short Film festival, and its largest short film competition, is now accepting entries from Australia and around the world, for our 2014 Festival. All competitions are open to any short film under 35 minutes completed within 2 years of the entry closing dates. Final Deadline 18th October 2013.